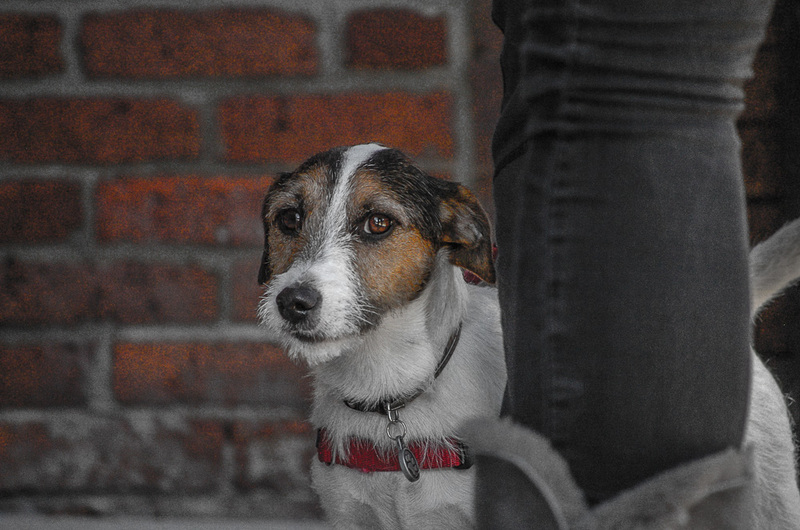 Cameron’s choice for entry into Scott Kelby’s Worldwide Photo Walk photo contest was this image he made of Clark, the Jack Russell terrier. Clark and his owners accompanied us on the walk, and Cam quickly latched onto him as a subject for a variety of photos as we traversed the city. Cameron chose to edit his photo in Lightroom and spent some time playing with the sliders before he decided on this version. We had a great time on the walk, made some new friends and plan to make this an annual adventure. And perhaps Clark will join us again next year! Clark’s eyes talk to us, can almost hear him . . .
A handsome dog to be sure!